This morning, the school were treated to a wonderful French Horn assembly. 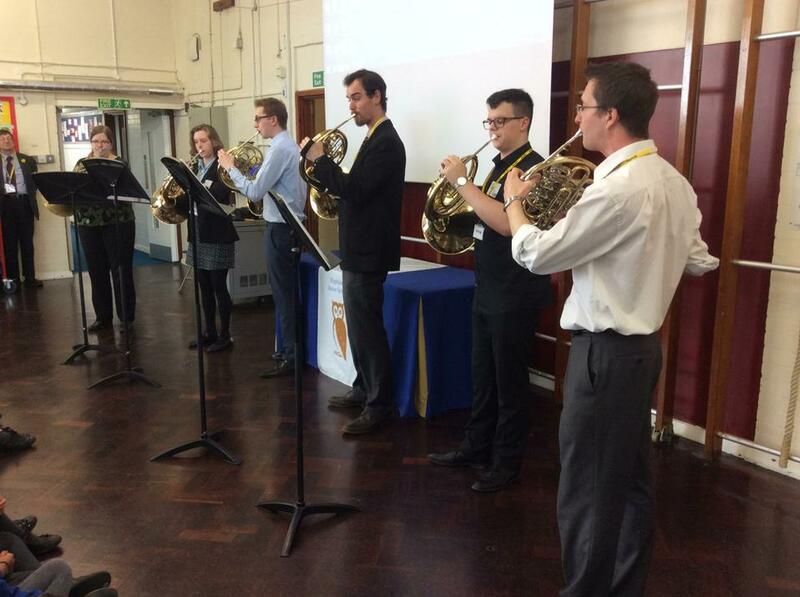 Mr Steggall, one of our BYMT teachers, was joined by five colleagues to play a range of pieces on their French Horns. In the Summer Term, some of the children from Lime Class will take part in five weeks of 'Band on the Run' lessons, culminating in a concert to parents and carers.